Everyone wants to work in the USA. And, this dream can come closer to reality by paying attention to small details. Of course, the quality of your written English is one of them. Your search for a job in the USA will be more successful if you take this into account, and spend some time getting your English just right. The first glimpse a potential US employer has of you is through your resume (CV or curriculum vitae) and your covering letter. Spelling mistakes and English grammar errors might prevent you from getting an interview at all, regardless of your work experience credentials. Before sending your application for a position that has caught your interest, proofread your resume and covering letter. 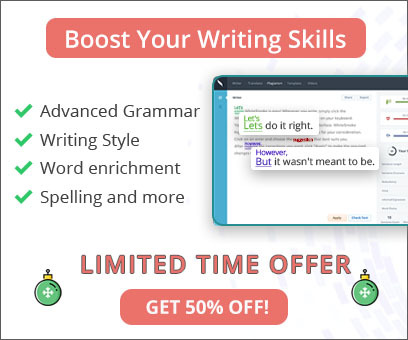 For 100% accurate proofreading, try using grammar checker software. WhiteSmoke will make sure your application communicates effectively. Good communication, however, is more than just grammar and spelling. Style is also important, and you want to use your writing style to separate you from other candidates. The goal is to make the potential employer see you as unique: your writing must communicate who you are, not just what you have done. WhiteSmoke can help you to turn your resume and covering letter into more persuasive and enticing documents which demonstrate your personality. 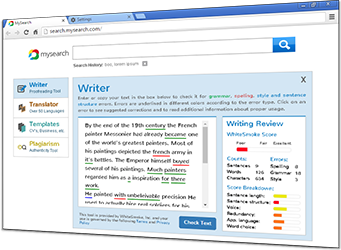 With the unique enrichment feature that scans your text and actually suggests adverbs, adjectives, and synonyms, your writing will be great to read. A comprehensive dictionary and thesaurus means you will never be short of words. We have simply talked here about the covering letter and resume (CV or curriculum vitae), and how to make these documents best represent you. Keep in mind that the idea here is to sell yourself as the best person for the job. Improved vocabulary and English grammar are simply means to the end, which is getting the job of your dreams in the USA. Of course, your skills and work experience are important. But, in the US job market, employers are looking for more. They are looking for people who will bring their unique personality to contribute to the culture of the workplace. With this in mind, the way you write your resume and covering letter is vitally important. Don't miss that job in the USA because you didn't run a grammar check, a spell check, or a punctuation check. Don't miss that job because you couldn't find the words to fully express your unique personality in the application letter. Get WhiteSmoke, and get the job you want.